Lagos recently. “R e c e n t government efforts in the development of additional cashew plantations, distribution of improved seedlings to farmers, enforced good agricultural practices are all going to increase output of Nigeria’s cashew production gains traction as output to rise 30% E-mail: ag@businessdayonline.com cashew nuts in Nigeria by 30 percent in the next two years,” he said. 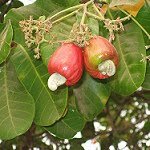 Nigeria is rated to be the fourth largest producer of cashew nuts in Africa and seventh in the world, with the bulk of its Raw Cashew Nuts (RCN) and cashew kernels) exported to Vietnam and India, respectively. They are both leading processors of cashew nuts in the world. Awolowo notes that “in 2011, Vietnam imported over $140million worth of RCN and $46million worth of cashew kernel from Nigeria”, Nigeria’s cashew production, Awolowo stated that working with the USAID/NIGERIA NEXTT project, the council has developed a cashew sector strategy for the cashew value chain in Nigeria. The cashew strategy is expected to improve the quality of Nigeria’s RCN and enhance the transparency of the Nigeria cashew industry by developing a Market Information System. The workshop which was organized by the African Cashew Alliance (ACA), USAID West Africa Trade and Investment Hub (WATIHUB) and U S A I D | Nigeria Expanded Trade and Transport (NEXTT) Project, unveiled cashew marketing information system ( M I S ) t h a t w a s developed by ACA to reflect reference pricing for cashew traders and market analysts. Data gathered on the MIS can be sourced online, SMS, email or voice platforms with provision for the five major Nigerian languages. NATHANIEL AKHIGBE palm oil, groundnuts and rubber; but presently, little or nothing is heard about these sources of foreign exchange. Rubber is used in the manufacture of a number of industrial products, which ranges from tires, balls, containers, shoes, bands and a lot of other items. Rubber is important in the socio-economic life of many tropical-developing nations. The capacity in Nigeria’s rubber industry has fallen from well above 130,000 metric tonnes per annum to between 65,000tpa and 60,000tpa on account of the failure to replenish old plantations and establish new ones, according to experts. The International Rubber Group ( I R S G ) i n 2 0 1 4 predicted that there would be strong global demand for rubber through to the end of the decade. The demandsupply gap of natural rubber is predicted to significantly widen in the course of the current decade and likely to end up in a shortage of as much as one million tonnes by 2020. The gap between the forecasted production of natural rubber (12.5 million tons) and the forecasted consumption (13.6 million tons) will be 1.1 million tons, IRSG adds. To meet this anticipated increase in demand for the commodity, the group recommended increase in the hectarage under new cultivation and yield particularly under small holding farmers. They revealed that current major rubber producers mainly Malaysia and Thailand are facing land constraints for natural rubber due to severe competition for land by other crops mainly palm oil, the same with Vietnam, China and India. For the needed increased hectarage and yield therefore, Africa (West and Central) are among the subregions to be targeted with an estimated production capacity of 680,000 tons in 2020. However, while increases are expected from countries like Liberia, Cote d’Ivoire a n d C a m e r o o n , t h e forecast for Nigeria is that production would remain static unless the natural rubber industry particularly in the smallholder sector is revived. Stakeholders say more attention should be paid to adding value to rubber through processing t o increase its market worth and bring higher foreign exchange into the country, adding that “in recent years, export of Nigeria RCN has been increasing.” With a projected output of 175,000 metric tonnes of RCN in the just concluded 2016 trading season, Nigeria is expected e a r n o v e r $200million at an average of price $1,200 per ton in the international market. Awolowo affirmed the increasing output of Nigeria’s cashew with the production of 150,000 and 130,000 metric tons in 2014 and 2013 respectively. To further improve Nigeria’s cashew production, Awolowo stated that working with the USAID/NIGERIA NEXTT project, the council has developed a cashew sector strategy for the cashew value chain in Nigeria. The cashew strategy is expected to improve the quality of Nigeria’s RCN and enhance the transparency of the Nigeria cashew industry by developing a Market Information System. The workshop which was organized by the African Cashew Alliance (ACA), USAID West Africa Trade and Investment Hub (WATIHUB) and USAID, Nigeria Expanded Trade and Transport (NEXTT) Project, unveiled the cashew marketing information system (M I S) that was developed by ACA to reflect reference pricing for cashew traders and market analysts. Data gathered on the MIS can be sourced online, SMS, email or voice platforms with provision for the five major Nigerian languages.